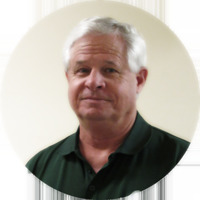 Dennis F. Fransway — EnviroMINE, Inc.
Dennis Fransway has 35 years of experience in the environmental field including a variety of management and supervisory roles. Mr. Fransway has worked with aggregate mining operations, national railroads, major insurance providers, transportation companies, oil companies, retail developers and public agencies. Managed and provided technical oversight for risk evaluation, subsurface contamination, environmental compliance (HMBP, SPCCs, SWPPPs) and permitting issues. Management services to engineering companies involved in the design of large reclamation plans for abandoned mine lands in the western United States. Designed reclamation plans to minimize impacts and developed construction specifications for bid. Develop and review financial assurances. Provide onsite supervision of contractors during implementation of the approved plans. Completed inventories of active and abandoned mine properties identifying potential hazards, mitigation methods and liabilities. Prepared and submitted Plan of Operations for two placer gold mines on Bureau of Land Management claims. Provided technical support to a CA lead agency under a 45 day notice issued by the CA State Mining & Geology Board. The Board was considering assumption of lead agency status in the jurisdiction. Developed and implemented major, industrial storm water program compliance for multiple-site clients in California. Mr. Fransway currently provides specialty services involving environmental compliance, due diligence, permitting and program management to industrial and public agency clients throughout California. He is the principal contact for lead agency mining compliance efforts. Mr. Fransway provided national account marketing and functioned as the Site Manager for the San Diego office. He reviewed and edited technical and cost proposals, contracts, and Master Service Agreements with national clients and sub-contractors utilized by the company. Mr. Fransway directed staff in the completion of projects involving hazardous materials on industrial properties throughout California and Arizona. He provided technical and program management for storm water programs and environmental compliance at major aggregate and rail operations in California. Mr. Fransway served as the Southwest Area Operations Manager. In this capacity he managed and provided technical oversight for risk evaluation, subsurface contamination, environmental compliance and permitting issues. His area of responsibility included all of California and Arizona. Mr. Fransway had overall responsibilities for the development, permitting and compliance of 35 gasoline stations, 40 transport trucks and a bulk fuel terminal. He worked closely with outside legal staff in representing the company in contested violations and issuance of operating permits. He served as the primary contact with multiple regulatory agencies and conducted fuel QA/QC programs. Mr. Fransway provided environmental management services to engineering companies involved in the design of large reclamation plans on abandoned mine lands and water development projects. He conducted baseline evaluations, wrote environmental impact assessments and developed reclamation specifications for bidding. He also completed inspections and construction management services. Mr. Fransway functioned as Supervisor of a technical support group involved with permitting large surface mining operations. He reviewed permits for technical completeness requirements and developed responses to permit applicants. This assignment also required the completion of numerous mining inspections to insure compliance with permit stipulations. Golf – play amateur golf weekly and have worked up to a mid level handicap. Deep Sea Fishing – complete multiple day offshore fishing trips with a focus on tuna, dorado, yellowtail and drinking beer.